Prior to CareSource, Dan was senior vice president and chief administrative officer for DP&L and before that he was with AT&T and the NCR Corporation for more than 25 years. Dan holds two advanced degrees, an executive MBA in international management and finance and a master’s degree in industrial relations and human resource management, both from Rutgers University. He also earned a bachelor’s degree in economics and political science from Moravian College. 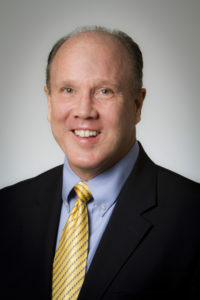 He currently serves as the chair of the Advisory Council for the School of Arts and Sciences at the University of Dayton, the chair of the board of the Downtown Dayton Partnership and chair of the board for the Dayton Area Chamber of Commerce Education & Public Improvement Foundation. Dan is also the former chair of the board of directors for the Dayton Area Chamber of Commerce and former board member and vice president for the Boy Scouts of America Miami Valley Council.